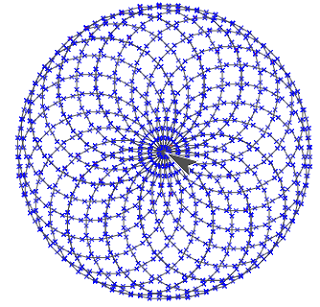 My goal for this code is to alter it so I could make the diameter of the circle smaller. I also want to make the white space greater in the design. My prediction for making this happen is to change the blocks in the inner repeat block. 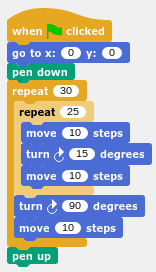 Some changes would probably be removing the extra "move 10 steps" block. 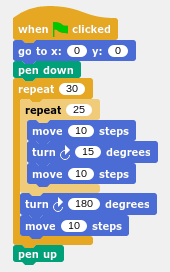 I believe I need to change those certain blocks because it is what creates the circles. I will try out my predictions and see what happens! This year's Turtlestitch theme is identity. What culture or pattern represent you? What are the letters of your name? What are your favorite colors? This week I am focusing on astrological signs, also known as horoscopes, which are determined by birth dates. I decided to embroider these signs because recently, I started to believe that it represents my personality pretty well. I am a Leo-Virgo cusp, and after reading the cusp is defined as "one of leadership and communication but also one of independence and secrecy," I was convinced I am a mix of the two signs. What is your horoscope? Embroider your sign! When I was helping students the other day, a few students asked me what the certain warnings mean on Turtlestitch. The first warning a student came across was "DENSITY WARNING!" and the other warning another student received was "1 is too long! (will get clamped)." Today I will go over both of these warnings based on our observations! I hope you will find this helpful when coding. -the warning appears when multiple stitches overlap each other repeatedly. -the stitches become too thick. 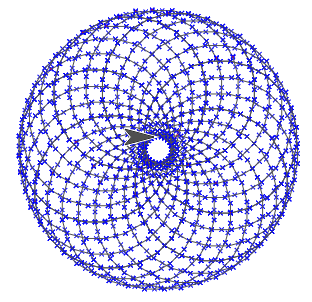 The center of the design is darker than the rest of the code, and when the turtle is moving, the stitches are repeated in the same area. This makes the center dense/thick and may cause the needle to break when passing through the stitches. "1 is too long! (will get clamped)"
The new Turtlestitch "Whizzy Needle" site has many new features, including the "Embroidery" and "Color" block categories. It has completely changed the way my designs look on the embroidery machine. 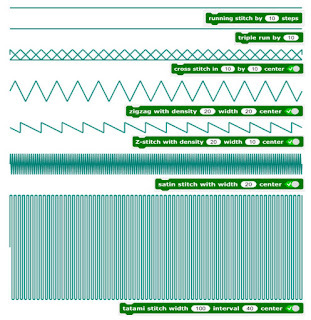 The "Embroidery" section offers various stitch types, which sophisticates any pattern. I have tested all of the blocks, and I am most drawn to the satin stitch since a lot of my patterns are silhouettes, and I want to emphasize the shape of them. I love the texture of the tatami stitch; it is very smooth. The other stitch types are great for adding a unique look to a design. The blocks from the "Color" section do not affect the output colors on an embroidery machine. Although, I use it to help me choose the thread color. I also change the background color (Turtle>Default background color...) to determine the thread and fabric colors to use.